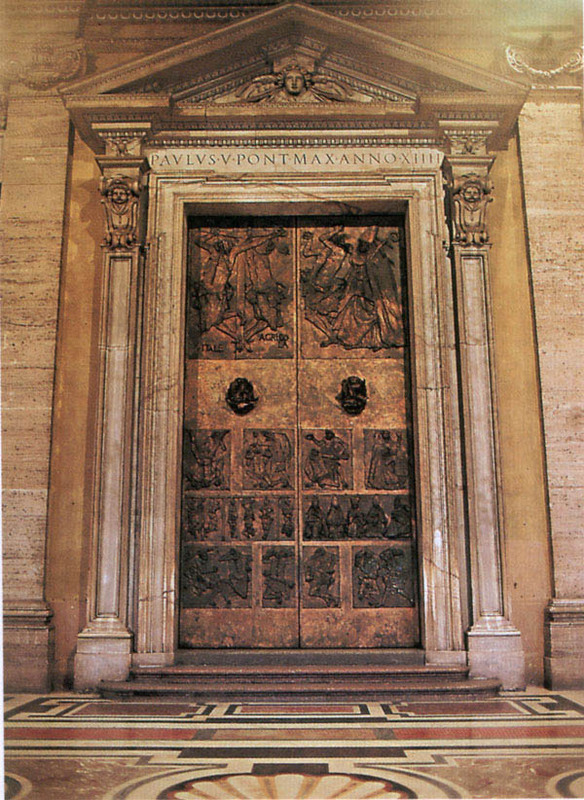 This second door from the left was donated to Pope Paul VI, on his 80th birthday. The right panels show goodness, the left evil. The second door, the work of Luciano Minguzzi, who worked on it from 1970 to 1977, is the Door of Good and Evil. 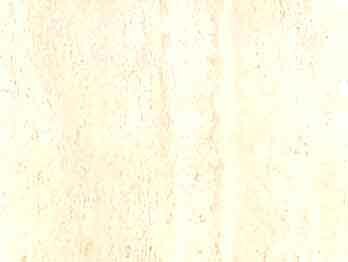 The artist donated it to Pope Paul VI (1963-1978) on his 80th birthday. On the right panel: Goodness is shown. St. Augustine silences a Manichaean heretic, because the truth must triumph over error; a pair of doves nesting are a reminder that love generates peace; Baptism which was grafted in Jesus enables us to do good: the un-armed soldier who is receiving communion from a black cardinal recalls what the true weapons of good are. John XXIII and Paul VI together with the three cardinal moderators represent the Church meeting the Council to seek the best ways to help man achieve his own good; Lazarus rising from his tomb shows what man's final good is, while the young Tobias accompanied; by the Angel Raphael assures us that God leads us on the way of goodness. 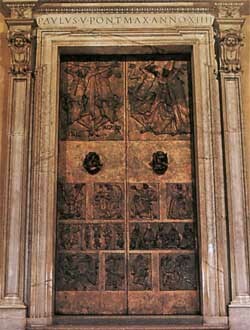 The Door of Good and Evil, more animated and expressive, is located to the left of the Filarete Door. It was consecrated on Sept. 26, 1977 to celebrate Paul VI's eightieth birthday. Minguzzi confirms his vibrant sculptural expressionism, presented in some sections with violent brutality, accentuated by the plastic nature of the tormented modeling.